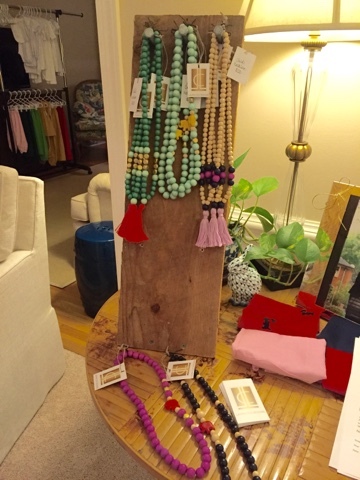 I felt really honored when our shop, The Tipsy Bunny, was asked to join two other awesome local vendors, Tender Love and Cloth and Teal House Collection, at a trunk show last week. Our girlfriend so graciously hosted this event for us ... opened her beautiful home to friends and strangers alike for four days! I haven't been part of a trunk show for years and years -- back when I was making jewelry. I forgot about the excitement of hearing the door open and chatting with people who are looking to shop local and find some great deals! Since the trunk show started on Wednesday, I drove over to my girlfriend's house Tuesday night after putting Camille down to sleep. I did a quick and simple set-up that I had already planned out on our dining room table (this made it a little simpler to all come together). 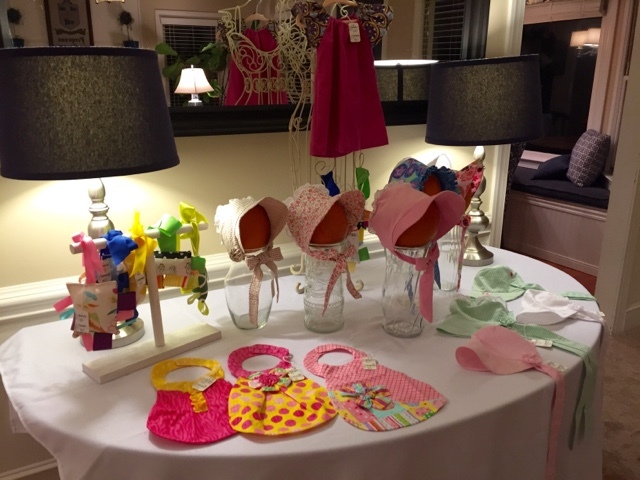 My friend had the lamps and table -- I brought the tablecloth, the dress form, a homemade wooden stand for the carseat toys, and the display I was most excited about -- bonnets on small pumpkins, held up on clear glass vases. The pumpkins were only $1.50 each at the farmer's market, and now I have them at the front door for Halloween decor. Since we carry children's beaded necklaces in our Etsy shop, I also had several of these displayed on the same table where custom bonnet orders could be submitted. 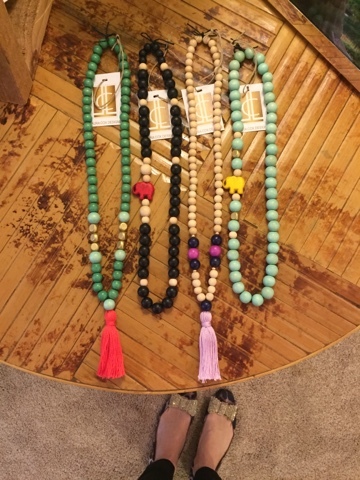 My sister Laura makes these necklaces (her shop is here) and a lot of the moms loved that they could contact Laura to get a matching necklace to coordinate with their baby. Lots of folks seem to be into the "Mama and Mini" trend now. 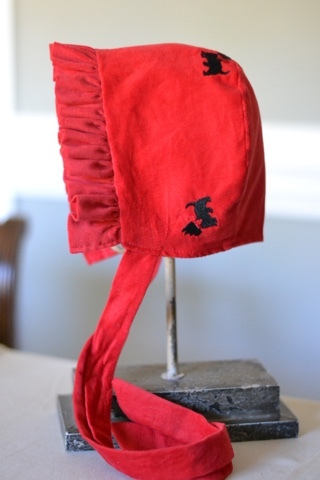 The bonnets did really well -- we sold several pre-made bonnets and also took orders for custom colors and sizes. Mom and I have a good amount of work ahead of us now, all in time for the holidays! 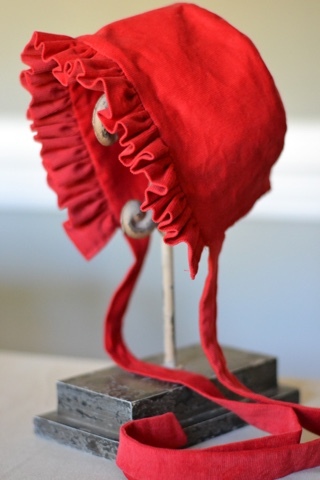 One very sweet holiday bonnet that has not been snatched up yet is this reversible red corduroy bonnet. One side is solid red, and the reverse side has little embroidered scottie dogs on it. It is sized 12-18 months and can be found in our Etsy shop if you know a little girl who needs a holiday bonnet for meeting Santa, a holiday tea, or family photographs! I am so thankful to everyone who came out to support us and say hello! I hope we will have an opportunity to join up with one or two more trunk shows before the craziness of the holidays. 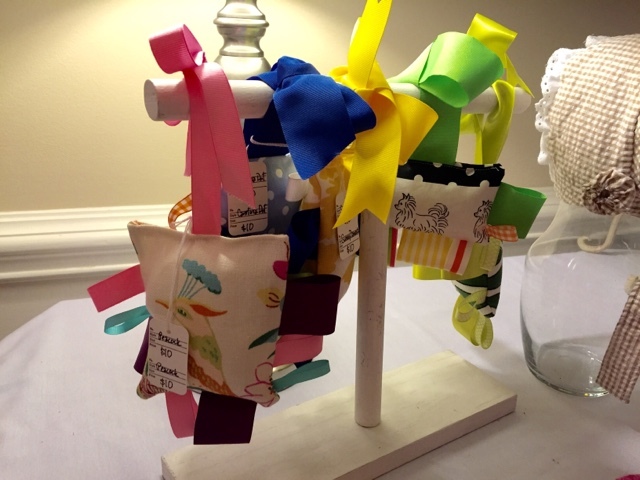 If you are looking for a bonnet for a little gal in your life, my mom and I would be delighted if you would keep The Tipsy Bunny in mind. Having an Etsy shop again has definitely inspired me to be better about shopping local and supporting fellow businesswomen! Oh the bonnets are just adorable! 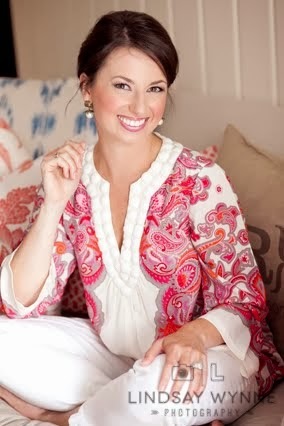 And your first trunk show is complete--congratulations!! These bonnets are too precious! 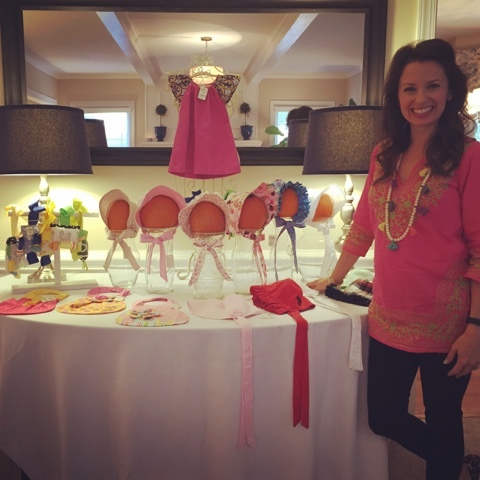 Way to go with your first trunk show! SO cute!! 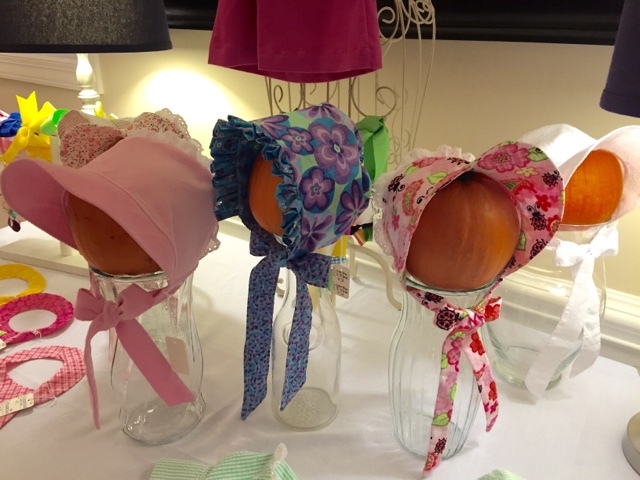 I hope I have a little girl so I can put her in those adorable bonnets! You look amazing! I LOVED having you guys! This week has been so boring for all of us without the excitement of the show! I may even be crazy enough to do it again... Maybe! I hope so much that it was a success for all of you! How exciting!! I so wish I had a little girl to buy bonnets for! I just don't think Matt would be ok with them on Jack!? They are absolutely adorable though!! Love the bonnets and congrats on your first successful show! We find out tomorrow what my niece is having, if it's a girl, I'm getting one of your bonnets for her new babe. Oh my goodness! So cute. I love your use of the pumpkins. Oh my gosh that scottie bonnet! What an absolutely adorable piece. Seriously love these bonnets. Not too big so they don't look ridiculous on a baby, perfectly scaled and sweet.